Canned salmon is something you can eat all year round to your own enjoyment. 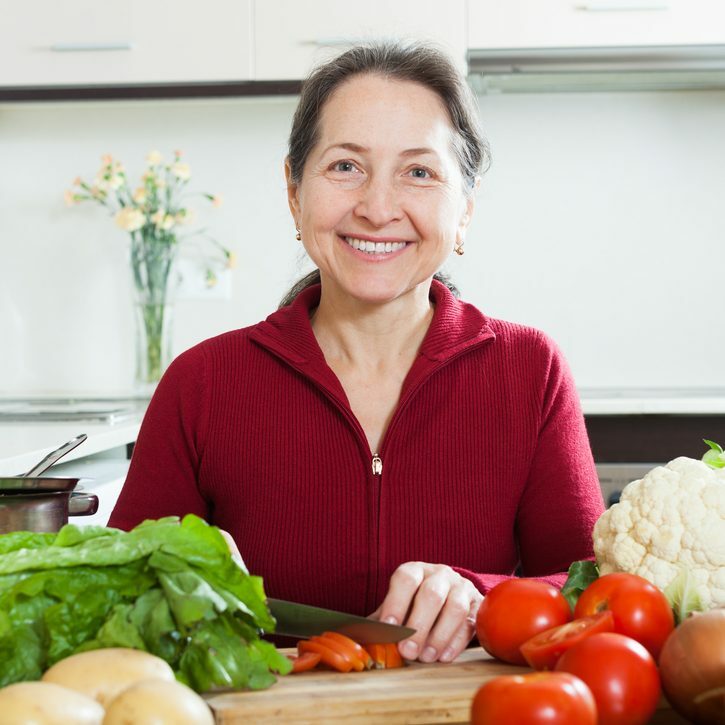 It is a great tasting food straight from the can that has a host of health benefits to offer. But to ensure that you’re getting the right amount and type, look here for the best canned salmon. How fresh is canned salmon? 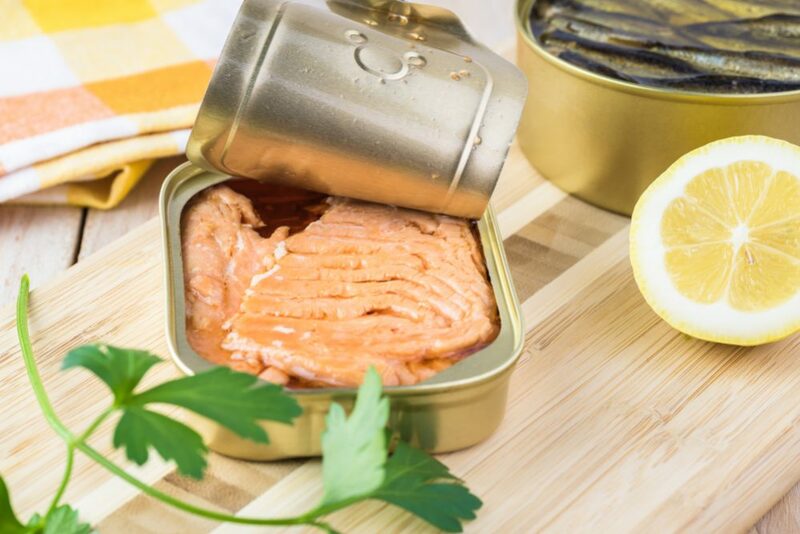 The top recommended product for the best canned salmon on this list is Wild Planet Wild Pink Salmon. This salmon is harvested on good terms with the environment and satisfies customers in an environmentally friendly manner. This canned salmon comes skinless and boneless, making it easier to put inside of larger meals or simply enjoy on its own. The liquid you find in the can isn’t something to throw away or drain out. Instead, it comes naturally from the salmon since it’s freshly packed instead of frozen. The liquid carries nutrition from the salmon and an abundance of flavor. Salmon is perhaps one of the most consumed types of fish, but can be a bit pricey. A more cost-effective alternative to this is getting canned salmon. Canned salmon is also a great option for people who enjoy the mild taste of this fish but live in landlocked areas. With the canned option, they can easily access their favorite fish all year round. Salmon is easy to incorporate into the diet in a lot of different ways and the canned version won’t add a lot to your food budget either. It not only works as a versatile cupboard food but is also quite healthy and easy to work with. As it comes cooked and ready to eat, using canned salmon takes less time and effort to put together a healthy meal. Unless you are a fish connoisseur, salmon may just be a generic term for you. However, there are several salmon species, five or six of which are quite popular. Of these, five occur in North American waters and come from the Pacific. Only one species is known as the Atlantic salmon. At the same time, some types are favored more for canning while others are sold as flash frozen filets or planks. Of these, pink salmon and sockeye salmon are primarily sold as canned salmon. Atlantic, Coho and Chinook salmon are often marketed as flash frozen filets or planks. 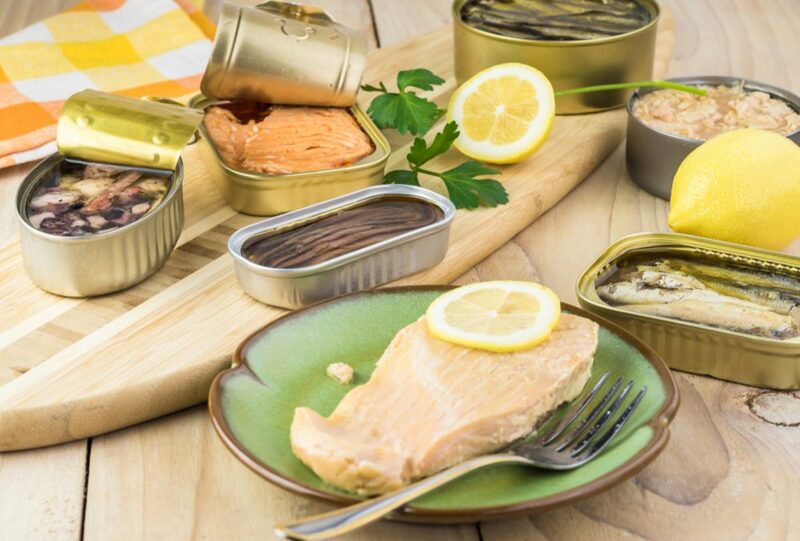 Of the canned varieties, pink salmon is mildly flavored and light in color. This fish has a lower fat and oil content than its sockeye counterpart making it less rich than the sockeye salmon. Canned pink salmon is a popular option in soups, sandwiches, and casseroles where a milder flavor and lighter color won’t compromise the recipe. Sockeye salmon, on the other hand, also goes by the name of red salmon given its distinct color. The flavor of this salmon type is also richer than the pink salmon and this variety is overall the most popular fish among salmon species. Sockeye salmon also yields a higher fat and oil content, giving it a much more intense flavor. On the nutritional front, both pink and sockeye salmon have similar nutritional value. Choosing the canned variety you favor will depend on your taste and texture preference. However, red varieties do tend to be pricier than the pink ones. Most of the canned salmon available is wild caught although Atlantic salmon is farm raised. The two varieties have some differences in terms of nutrition with the wild species offering more nutrients. Wild caught salmon offers a higher vitamin B12 and D content and contains more omega 3 fatty acids. Such fish have a higher iodine content while farmed fish are fed corn and grains which isn’t their natural diet. Farmed salmon is also usually lighter in color as their feed doesn’t contain as much shrimp or krill as that of wild caught. Instead, farmers supplement it with food colorant to give the fish a pinker color. Wild caught salmon is sourced sustainably and ethically whereas farm-raised varieties can expose the fish to unhealthy, unnatural living conditions. To reap the true benefits of eating salmon, experts recommend opting for wild salmon, whether you have it fresh or in canned form. Look for the place of origin stated on the can. This can tell you if the fish was caught and processed locally and sent to the market in due time, meaning it hasn’t been in the can for too long. Otherwise, you may come across labels like “Alaskan wild caught” and “Product of Thailand” on the same can. If anything, this indicates that the fish was caught in one place, shipped overseas for canning and then returned back for selling. That implies that the fish was caught a while ago and traveled a fair bit before reaching your plate. Such a timespan can easily become questionable. Sustainable salmon fishing practices can be determined by looking for a label by the Marine Stewardship Council or MSC. This is a non-profit organization focusing on sustainable fishing and will certify that the canned salmon has come from healthy habitats. Another certification to look for is the Aquaculture Stewardship Council or ASC that helps promote the best environmental and social aquaculture performance. 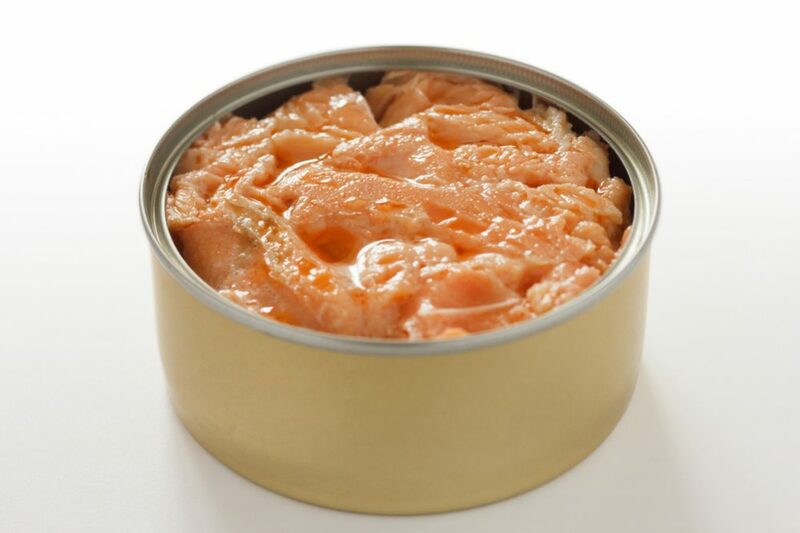 Shelf-life: Unopened canned salmon can last between 3 and 5 years when stored properly. To extend shelf life, you can also store it in a cool and dry place. An opened can is best used within 3-4 days placed in the refrigerator. 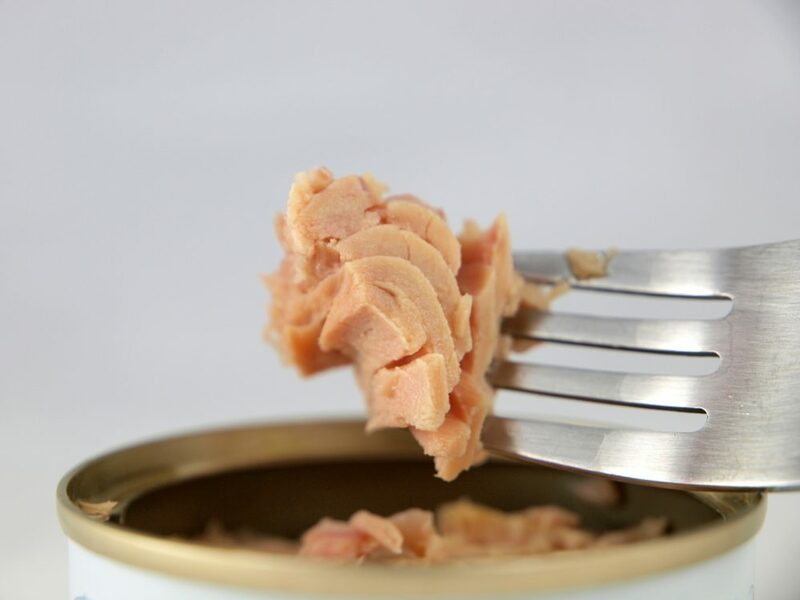 Weight: Canned salmon comes packaged with water which can add to its weight. Sometimes the cans are filled with more liquid which really compromises the convenience of having a decent snack right out of the can. It also means that there is excess water that can dilute the natural goodness of the salmon and make the taste quite bland. Skin and bones: Some canned salmon varieties come with skin and bones. This isn’t an inconvenience to most since the product is cooked and the bones are soft and chewable. However, if you don’t want this, look for a brand that comes deboned. Crown Prince Pink Salmon comes in a case of twelve, with each can carrying 7.5 ounces of salmon. Crown Prince products are certified NON-GMO and are kosher. This canned salmon works as an excellent source of omega 3, protein, nutrients, calcium with the included bones, and is low in sodium. 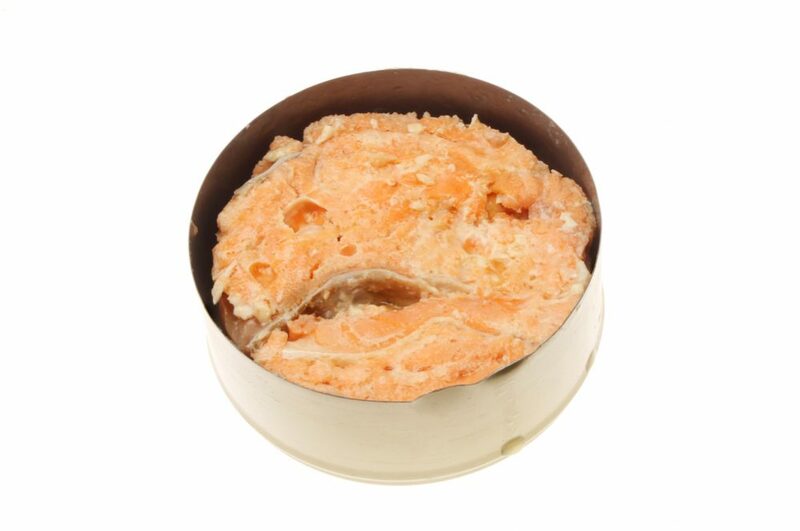 These salmon cans are traditionally packed to specifically include the bones and skin for added nutritional value. If you don’t want the bones or skin, you can simply take them off. Bones can even be mushed into the meat with a fork. They’re small enough to go by unnoticed and help add calcium to your salmon. This pink salmon is sustainably wild caught, not grown on any farms. A proper serving for one day can be one-fourth of the can, meaning if used in a recipe or in a sandwich, one can will sustainably feed four people. Crown Prince does not add any salt to their salmon for a more original and unbeatable taste. The firm texture of the salmon is not altered with their production and harvesting method. Crown Prince salmon is ready to eat out of the can, or you can place it in other foods such as sandwiches and patties. This salmon works nicely with recipes found online as it has a distinct yet still not overpowering flavor. The issue that arises with this product is inconsistent quality over time. Some cans offer premium quality while others may present issues. It can be noted that for cats, this is a quick snack they do tend to enjoy very much. It’s not heavy or saturated in too much sodium, making it acceptable to let pets have a go at the salmon. If it’s not up your alley then it can be something you can treat your pets with. Rubinsteins Red Salmon offers premium grade red salmon in each can. This comes in a pack of six cans, each carrying 7.5 ounces of sockeye salmon. This canned salmon is not boneless but the bones are relatively small and harmless, easy to blend into the meat without them bothering you. Though this flavor is strong and rich, red salmon goes quite nicely in dips and sandwiches, covered in different dressings and toppings. The abundance of flavors don’t pry away from the original taste of the salmon and it leaves a filling, satisfying aftertaste. The liquid inside of the can is filled with the rich and nutritional flavor of the red salmon, so it’s better not to drain it out. Instead, you can break the salmon pieces open and enjoy the additional, juicy, tender flavor that comes when the salmon pieces absorb the juice. You can even cook the salmon pieces inside of the juice for a crisp, flavorful snack you can place in your sandwiches and salads. Since red salmon tends to be more expensive than other types of salmon, this canned salmon deal from Rubinsteins is quite promising. They have a relatively lower price than other brands while still maintaining the rich splendor red salmon has to offer at its best. The wild catch Rubinsteins uses fish fresh out of the Alaskan waters and is packaged as soon as it’s cooked. This product is kosher certified which allows those on diets and limitations to enjoy this product as well. The red salmon is quite a catch and it shouldn’t be wasted but there have been recorded issues with the packaging of this product. Naturally, you can’t expect the juices to all be natural salmon fluid when there’s more fluid in the can than actual salmon. With more liquid than the actual salmon, you won’t be able to use it all and good nutrients can go to waste. StarKist’s catch is 100% wild caught and is therefore packed with the nutritional value pink salmon has to offer. This salmon is a great source of lean proteins your body needs along with healthy omega 3’s. StarKist evens certifies as a dolphin-safe product, meaning that dolphins along with other marine creatures are not harmed nor caught in the harvest of salmon for this product. When making salmon the StarKist way, it’s cooked in its own juice to revitalize and rejuvenate the fresh, pure, and nutritional taste salmon carries. StarKist cans do have to be opened up with a can opener as they do not come as a top-pop model. These cans, though claimed otherwise, do have bones inside of them which aren’t an issue, only a disappointment, since they aren’t expected to be there. The taste of this salmon is relatively bland, so it works much better when you have it inside of a bigger meal such as a salad or a sandwich. This salmon, though not intended to be, is actually one enjoyed positively by pets. It works great in simple sandwiches or as a light snack for a cat or dog if you are a pet owner. An odd but useful plus point. The best result from StarKist comes from having this salmon blended into patties. They come out flavorful and filling, a sturdy snack worth enjoying. A big concern with this salmon is how closely considered it is to tuna. The color is white and the taste is closer to that of tuna than salmon. This could be an issue when packaging multiple fish types in large-scale production as they can be mixed together. The flavor, however, is affected severely and ruins the genuine salmon savory freshness. This issue does tend to be concerning. Admittedly, StarKist does make canned tuna but this isn’t a very liable excuse for having their tuna packaged in tin cans with the label salmon. Pure Alaska Salmon receives their catch from the wild oceans of Alaska. The salmon is certified kosher and a product of USA. With this purchase comes 12 cans of salmon, 7.5 oz worth of salmon found in each can. There’s no additional salt added to the salmon to preserve the natural and genuine taste of wild pink salmon. In one-fourth of a serving, there are 64 milligrams of sodium. This salmon proves to be a dependable source of omega 3s, vitamin D and protein. The salmon in these cans is light in color and has a very mild taste to it. The can for this is not a pop-top model and requires a can opener. There are small bones inside of these cans from the spine and ribcage. This isn’t a problem for most as bones are a high source of calcium. The salmon is processed and cooked beforehand, so the bones are soft, easy to press into the salmon meat or simply chew and swallow. They’re small enough to even go unnoticed. Since it has no added salt, this product is great to put inside of other dishes for the fresh taste of salmon. The salmon can be used as a base flavor and have spices, sauces, and toppings placed over it without losing the quality assured taste of salmon from the meat. With this specific brand, it’s easier and better to have the salmon with something else. The salmon will still have the same nutritional value and whatever you eat it with will give some extra taste to the mild meat. There is a problem though that arises with bones and that is the fact that they are so many in these cans. This becomes an issue when you want to eat the salmon with something else. For example, placing this salmon in a salad is a great idea, but there’s a fair chance that you’re also going to have to endure through having bones inside of your salad. They’re small enough to sometimes slip unnoticed, but bigger stronger bones such as the vertebrae can break against your teeth. Made for everyone to enjoy, Wild Planet gives customers a savory fresh-from-the-sea taste in each can. The salmon is both skinless and boneless so you can dive right into your can of salmon. The salmon catch for Wild Planet is from Alaska, fresh and wild catch with greater nutritional value. The wild catch is healthier and filled with the raw, ideal flavor salmon should have. With this can, you don’t have to drain out the liquid since this only has more flavor to hold for your salmon. Most of the nutrition actually lies in this liquid since it’s the salmon’s natural juices. Break up your salmon in the can so it absorbs the liquid and each bite is more flavorful. Salmon from Wild Planet is Kosher, gluten-free and NON-GMO. There are no fillers or additives placed inside of this salmon, only the natural taste. This product has a great history. The founders of this product want only to preserve the population of salmon from being over-harvested. All of the fishing is done by local fishing families of Alaska. These fishing methods help ensure that only the required amount of salmon is caught and no other species are harmed in the process. 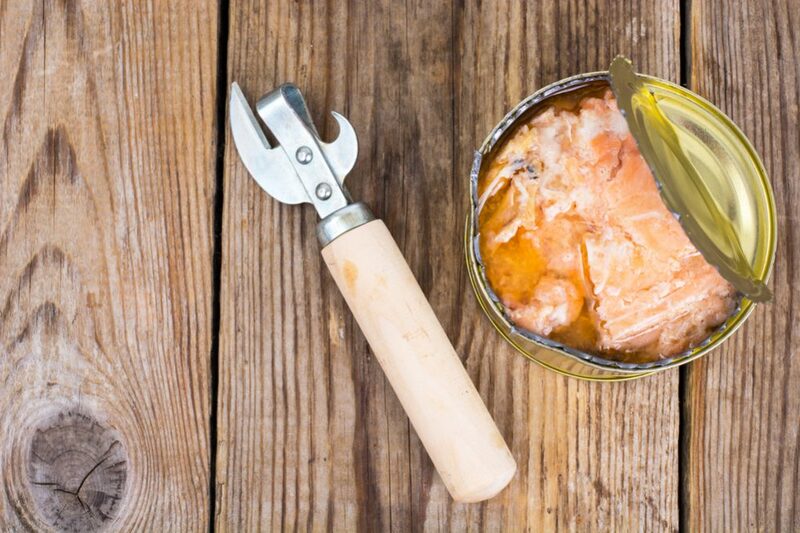 Salmon from Wild Planet comes in pop-top cans, so there’s no need for a can opener. Salmon caught is packaged fresh for a longer-lasting strong taste of authentic salmon taste. An issue commonly experienced with this brand is that the color of the salmon isn’t pink. It’s actually a tanned color which causes mistrust with the product. Granted, the taste is still there and the taste of Wild Planet is undeniably memorable. There are also issues with skin or bones sometimes being found in the can. You can easily remove the skin and squish the bones to prevent them from poking the inside of your mouth. The problem with this though is that the higher prices are for the skinless and boneless feature to this product. What makes Wild Planet canned salmon the best product is its simplicity and quality. Wild Planet, when compared to other products, has a safer method of harvesting salmon and doesn’t harm the life of other marine creatures. Wild Planet has a very ethical manner of fishing and its products are freshly packaged instead of frozen. Wild Planet gives you your salmon without any skin or bones so you can open and eat straight out of the can. You can even add this salmon into other meals, though the strong flavor of the salmon is filling enough on its own. Since the catch is wild, the meat is filled with more of the authentic goodness this fish has to offer.